Good Morning and Happy Mani Monday!! This week I had the time to complete my ode to Tim Burton with a manicure inspired by “The Corpse Bride.” What I love about this movie, aside from the stunning visuals, is the story. I am a sucker for a love story. Yes even one that may be a wee bit off the beaten path. Here are the colors for this look. Wishing everyone a great week! See you soon!!!! 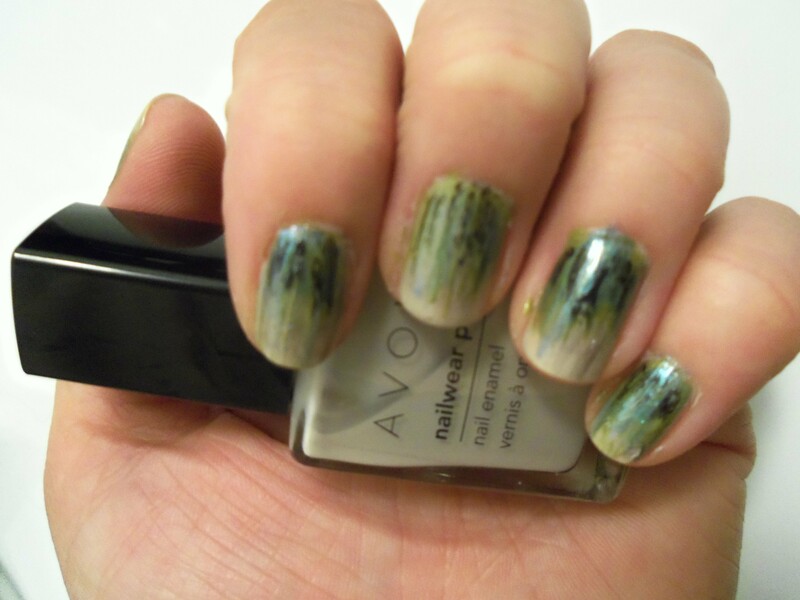 This entry was posted in Avon, nails, OPI and tagged Avon, Disney, Mani Monday, nails.